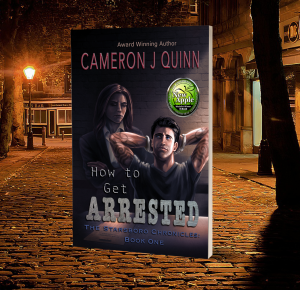 Buy NowSign up for Cameron's Newsletter and get your free eBook! With Zurik and Morgan out of town on a hunt, Trent is looking forward to some relaxation after he finishes his finals. The universe seems to throw Lindsey and Trent together after she witnesses a demon attack and he is the only one to help. Things are going well for the pair until her ex-takes his revenge. With a pending expulsion, an angry grandfather, and a demon hunting him, things can’t possibly get worse for the youngest D’Vordi. Or can they…? ***Warning*** This episode contains explicit content and is not meant for readers under 18 years of age.